RSVP by Monday, October 15, 2018. Call Janelle at 757-838-8030 or fill out the form below. Come join the Associates in Dermatology family at our offices at 17 Manhattan Sq., Hampton over hors d’oeuvres. We’re featuring treatments and skin care products that will make you look and feel beautiful in healthy skin at any age. Attendees will have the opportunity to meet some of our medical dermatology staff and watch live demonstrations on different cosmetic services. 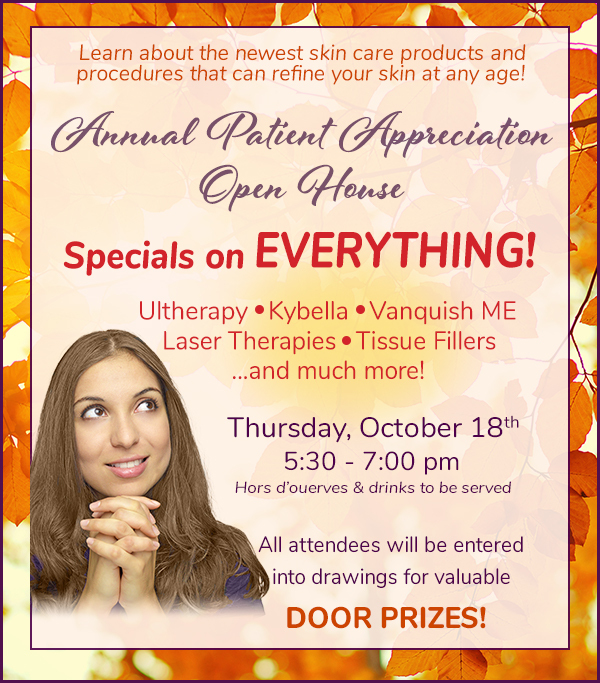 This is a great chance to learn more about the latest skin care products and procedures available to help refine your skin. 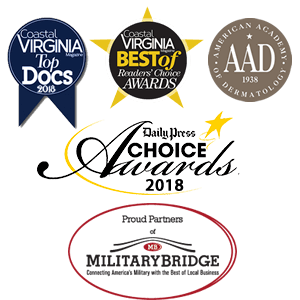 Don’t miss our exclusive specials for attendees as well as valuable door prizes. Bring a friend to share the fun! Fill out the form below to RSVP by Monday, October 15, 2018.